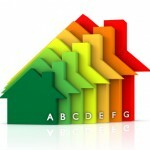 UK businesses are struggling to source hot Green Deal sales leads, a survey by Wise Up Media and Green Wise has revealed. The Government’s flagship scheme has got off to a somewhat rocky start since being launched back in January, enduring a host of complications including finance delays and energy suppliers struggling to adapt their IT systems to process applications. To add to their woes businesses working in the scheme’s supply chain face a tough challenge converting enquiries into paying customers. Member of the Green Deal supply chain – including installers, assessors and providers – were quizzed about what they considered to be the “biggest Green Deal marketing challenge”. According to the survey, which was conducted by the content marketing agency Wise Up Media, over 20% of those surveyed said they believed a lack of hot leads which could potentially be converted into actual sales were in fact holding them back from fully embracing the energy efficiency scheme. Other marketing challenges identified by the survey, which was conducted between 28 February and 28 May, include building awareness of the scheme (over 17%), lack of trust surrounding the Green Deal (14.5%) and explaining and conveying information about the complex scheme (11.5%). Surprisingly, while the Government has attributed complications such as finance plan funding issues and delays in setting up IT systems needed to manage the scheme, the survey tells a different story. Just 3.5% of the 139 people who responded said they found funding to be a major marketing challenge for them. Through the Green Deal the Government is proposing to insulate around 14 million UK homes by 2020.